As it is the Easter season, keep an eye out for Easter eggs hiding along the route!! Your walk leader may offer some clues! Embrace your competitive side and pick up a spoon and race with your newly found eggs. 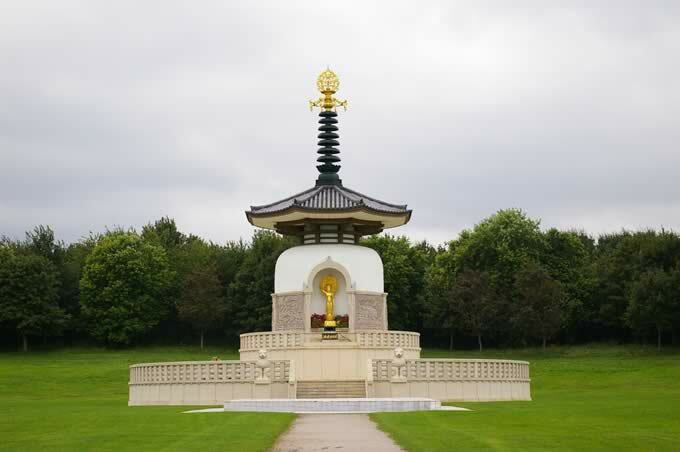 This walk explores the countryside of Milton Keynes taking in the Tree Cathedral, Small Brick Kilns and The Peace Pagoda. 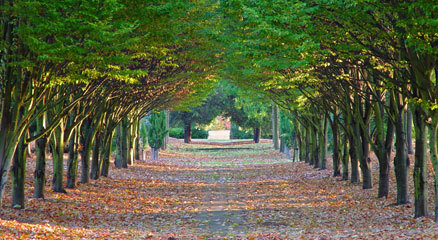 The tree cathedral’s outline is based on Norwich Cathedral and was designed in 1986 by landscape architect Neil Higson. He chose different species of trees to represent the character of the Cathedral’s sections: hornbeam and tall-growing lime for the Nave, evergreens to represent the central tower and spires, flowering cherry and apple as a focus in the chapels. In springtime colourful bulbs represent the sun shining through stained glass windows onto the ground. Small Brick Kilns. Milton Keynes. 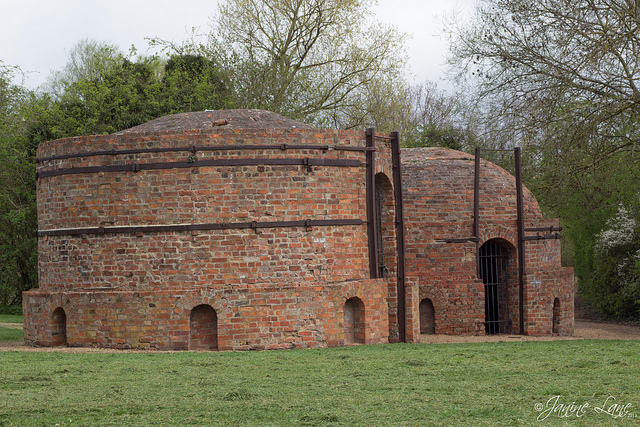 These kilns were used in the late 1800s to produce bricks from local clay for local house construction. Bricks have been made in the Milton Keynes area for at least five hundred years. The Peace Pagoda was built by the the monks and nuns of the Nipponzan Myohoji as a symbol of world brotherhood. Above it, 1,000 cherry trees commemorate the victims of war, while prayers and messages of hope decorate the nearby One World Tree. Alongside the Pagoda is the distinctive Buddhist Temple, where the public is welcome inside or to visit the grounds with their Japanese and Zen gardens. Meal provided? : No. Bring food for a picnic! Gear: Appropriate clothes and footwear for a gentle country walk. Always carry some water with you. This entry was posted in Blog, Local walk, News, Past events, Walks and tagged cathedral, keynes, kiln, milton, temple, tree.